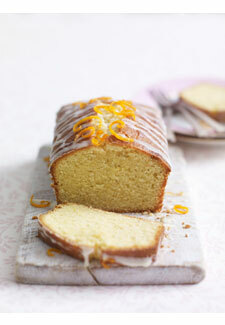 Unleash your inner baker and whip up this low calorie lemon drizzle cake. Ready in an hour and 5 minutes, who said you can’t have cake on a diet? 1. Preheat the oven to 180C/fan oven 160C. Butter and line the base of a shallow oblong tin (about 18x28cm/7x11in) with baking parchment. Tip all the cake ingredients into a large mixing bowl and beat for 2-3 minutes, until the mixture drops easily off the spoon. 2. Spoon the mixture into the tin and smooth the surface with the back of a spoon. Bake for about 40 minutes, until golden and firm to the touch. 3. Meanwhile, make the icing: beat together the lemon juice and sugar, pour the mixture evenly over the cake while it is still hot, then leave to cool.